This game delivers a very unique experience that just surprises when he/she is done playing. This game was co-developed by none other than Tecmo Koei and Nintendo. The game is about helping a trapped girl Maya escape from the curse. The game toys with your imagination, fooling you to think that their is actually a ghost near you. 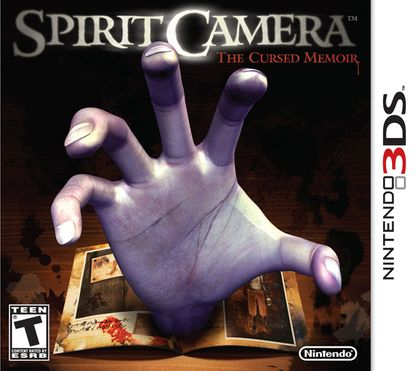 The game is played using the 3DS cameras and a diary that comes with the game. The game is played with the 3DS cameras, gyroscope and a purple diary. 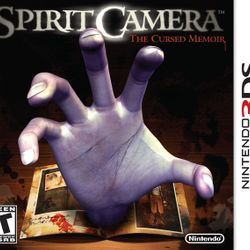 Since the 3DS acts as the Camera Obscura, you have to move around to fight vengeful ghosts. You control the 3DS by moving around. The L and R buttons serve as the buttons that initiate the taking of pictures while playing. The game is relatively easy on some parts but very difficult on others. Don't worry, it isn't hard because you have to move physically, but because it is actually hard. 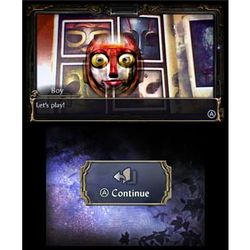 The game has three modes: Story Mode, Haunted Visions and Cursed Pages. 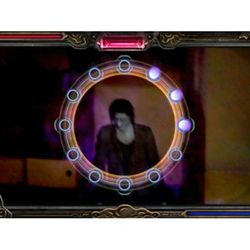 In Story Mode, you will progress through the game while uncovering secrets and fighting ghosts. 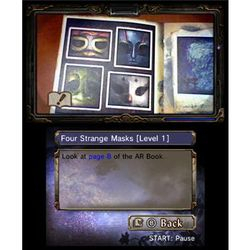 In Haunted Visions, you can take pictures of your surroundings with the pictures having a "supernatural effect". Some lenses will twist people's faces, some add ghosts in them and some just add supernatural effects. In Cursed Pages, you, with the diary, solve puzzles that are highly addicting. The story is about a girl, Maya, hiding from the woman in black. She finds a person, the player, that has the Camera Obscura. Together they uncover the secrets of the woman in black and find more ways to break her curse. The story is really good. It can be predictable, but because of the overall presentation, it also becomes an advantage for the game. The story is really simple but that is why it is good. The characters range from likable to lovable. Some you can really feel something for while others just somehow creep you out. The game looks good overall. You can clearly see their faces without them being blurry at all. The sound is also top notch. The developers have put extra effort in the sound effects. The music fits the mood but in my recollection, the majority of ghost fights have the same music. To sum it up, the game is a treat for the eyes, looks okay by 3DS standards, and the sounds are really nice to listen to. The story modes range from two and a half to three hours. Yes, it's pretty short, but you won't want to hurt your back. The story mode might be short but after you beat it the first time, you'll want to play it the second time on Nightmare mode, plus with the minigame (Haunted Visions and Cursed Pages) sections, you'll have a longer experience playing with this game. In Nightmare mode, Maya will have a different costume and there will be fireballs containing additional information about some characters. After beating it once, a new section will appear that will give you an option to take pictures with the characters using the diary and the ? AR card. Another section will appear that will give you the ability to fight ghosts in some scenes. Because of the mini games and the great story, the replayability is high for this one. I recommend you buy this amazing game because it truly shows what kind of experience you can have with augmented reality. Of course, you may not want to buy this game because of the length, but the extras and bonus modes will keep you coming back. + Great voicework and atmospheric music set a spooky tone. - The gameplay is rather limited and often too hands-off. - The main game is over in 2-3 hours.